What better way to make your guests feel welcome than with an attractive and appropriate event invitation? 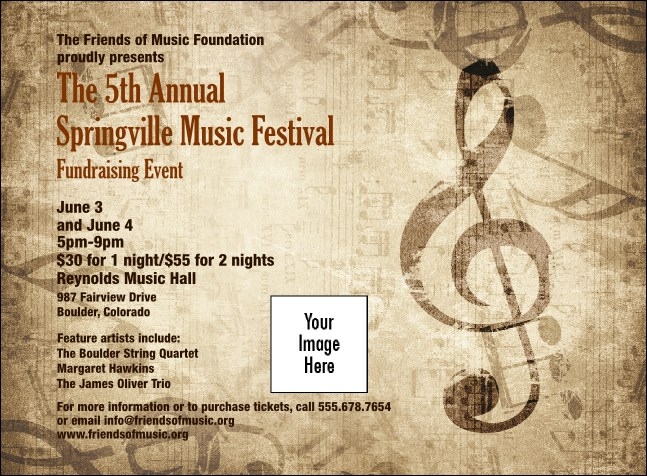 For a memorable musical interlude, start off with the Music Festival Invitation template with a sheet music background and decorative distressed treble clef design. Sing your message far and wide with a proper Invitation from TicketPrinting.com.